UNIBEN professor shot dead in front of his house – Royal Times of Nigeria. 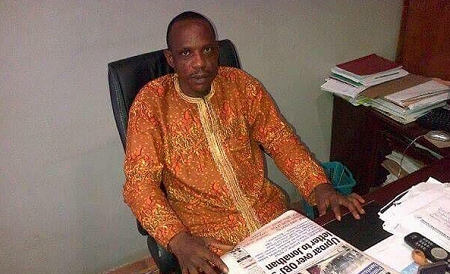 A senior lecturer in the Department of Electrical and Electronics Engineering, University of Benin in Edo State, Prof. Paul Otasowie, was shot dead by gunmen in front of his home on Ekehuan road in Oredo Local Government Area of the state yesterday evening. There have been various version as to the men who killed the professor. Some people claim that the gunmen were hired assassins, others claim that the armed men might have been armed robbers who were shocked to see him in front of his home. The University’s Public Relations Officer, Michael Osasuyi, says the matter has been reported to the police and that the school would issue a statement soon.